When disaster hits, it can be difficult to know the best way to help. How can you be sure that your donation will go directly to the people affected? For almost 30 years, we have recognized the extraordinary acts of heroism from everyday people around the world, people who stick their necks out for the common good. It just so happens that we know two organizations founded by Giraffe Heroes that are currently active in disaster relief efforts in Puerto Rico. 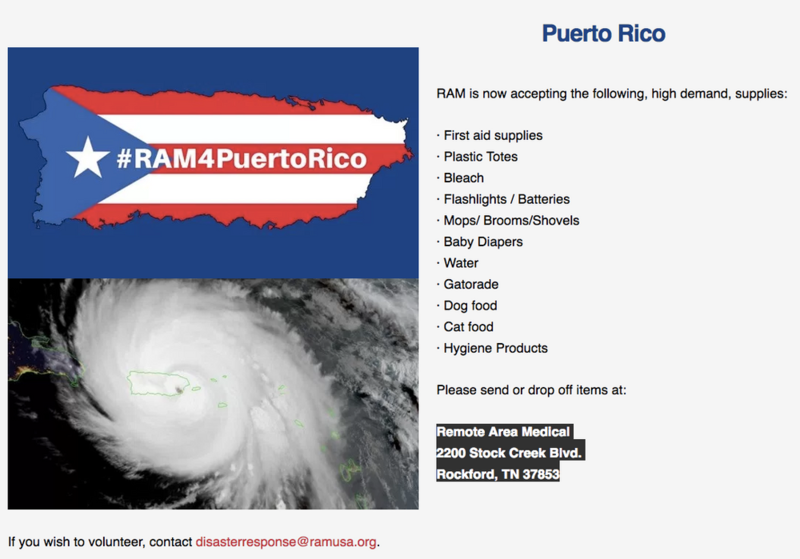 If you're in Tennessee, consider dropping off an item from RAM USA's list. If you are looking for a place to donate -- whether you have $10 or $100 -- please consider Americares. 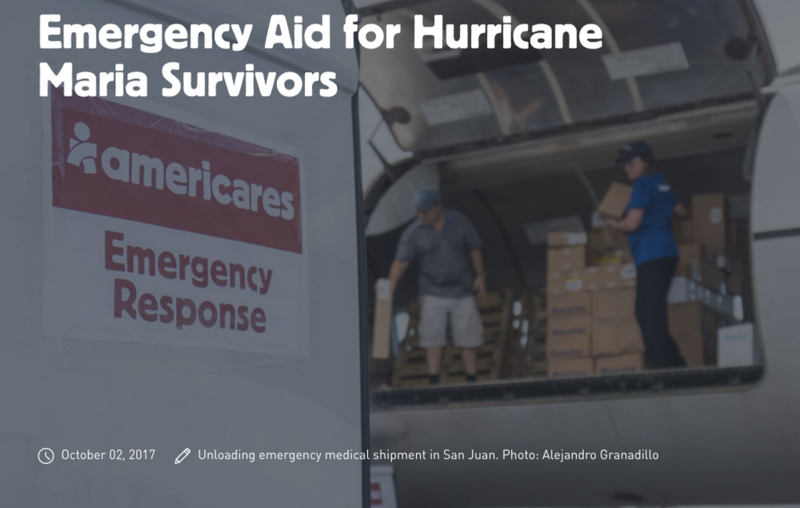 Americares, founded by Giraffe Hero Bob Macauley, was one of the first responders able to deliver life-saving supplies to Puerto Rico & Dominica. Their work continues. Donate to support their outstanding work here. 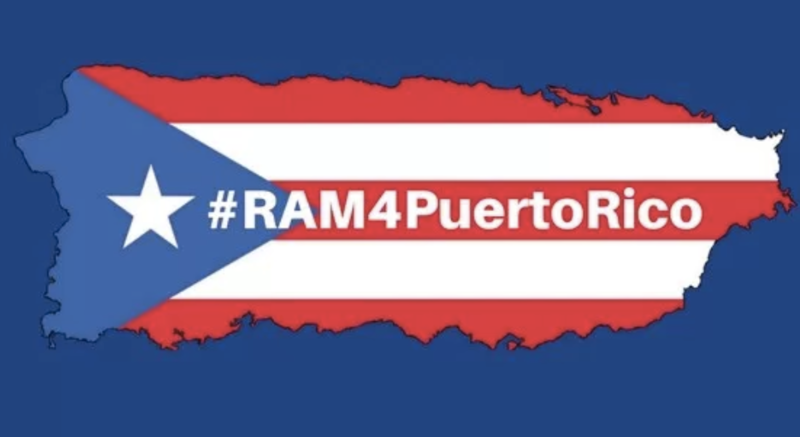 RAM USA is based in Tennessee, and provides mobile medical clinics to marginalized communities in the region. RAM was founded by Giraffe Hero Stan Brock. They are now accepting donations of high-need supplies, like diapers, water, flashlights, and personal hygiene items. Find the complete list here.